Long before the days of dedicated signal boosters, guitarists relied on a variety of pedals to fatten up their tone. EVH used the Phase 90, SRV used the Tubescreamer, and Brian May used treble booster. 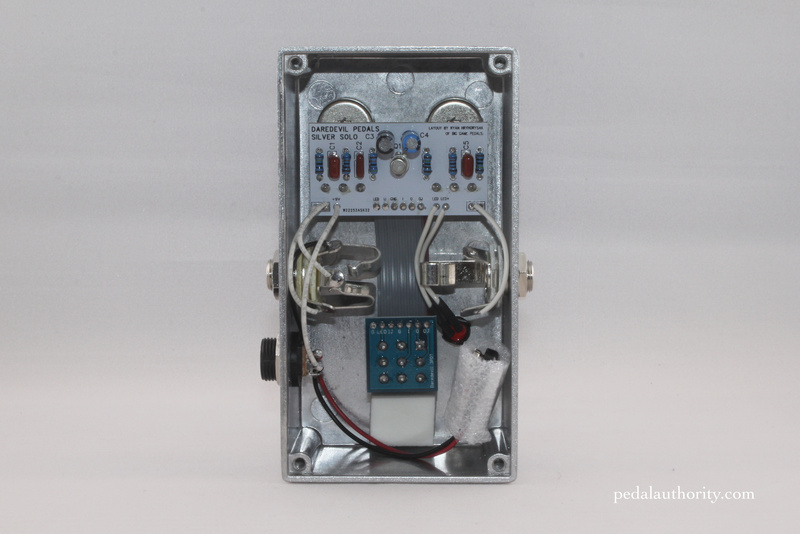 Although each of these pedals did end up adding a bit of color to the tone of their respective players, these artifacts became signature elements of those now legendary tones, and indeed even in an era of true bypass everything and NOS parts with special unicorn dust, there is a lot to be said for the tried and true method for boosting your guitar’s signal. A little extra tone color never hurt anyone. And so today we will be talking about the Silver Solo from Daredevil, modeled on the classic Rangemaster that has been most famously used by Brian May to drive his vintage and chimey Vox AC30 amplifiers into thick hi-gain territory. Level: allows you to control the level of the output signal. Range: allows you to control the EQ profile of the output signal. 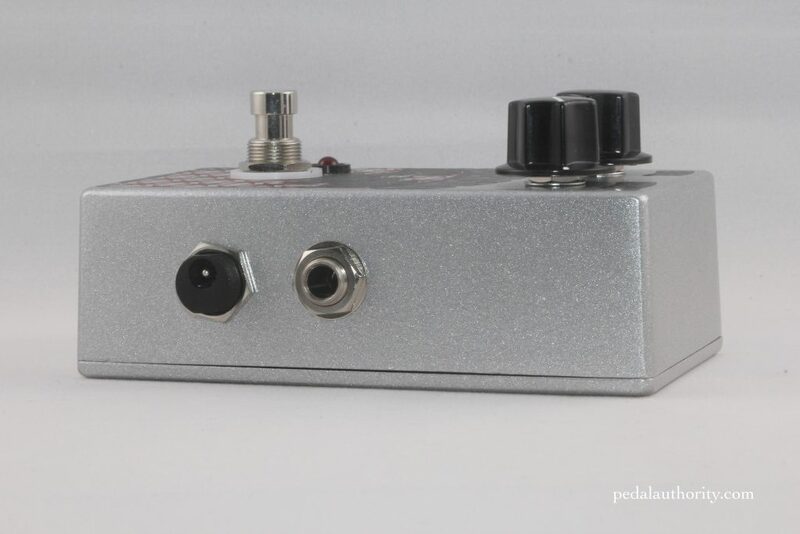 With this knob turned all the way down, the Silver Solo does not alter the EQ profile at all (aside from anything that the pedal’s buffer adds or subtracts), and with the knob turned all the way up, the pedal cuts a significant amount of lows and lower mids meaning that only the upper mids and highs (treble) can pass through. 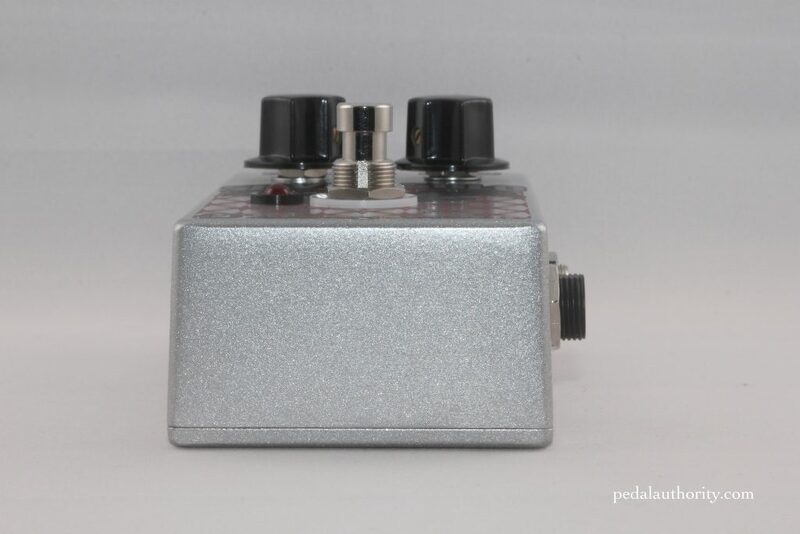 Basically this pedal is just a filter. But then again so is a wah pedal, and an envelope filter, and an EQ pedal, and an exciter. And those of you who are familiar with synthesizers and synthesis know that filters, while simple in design, can completely change the character of any given sound. 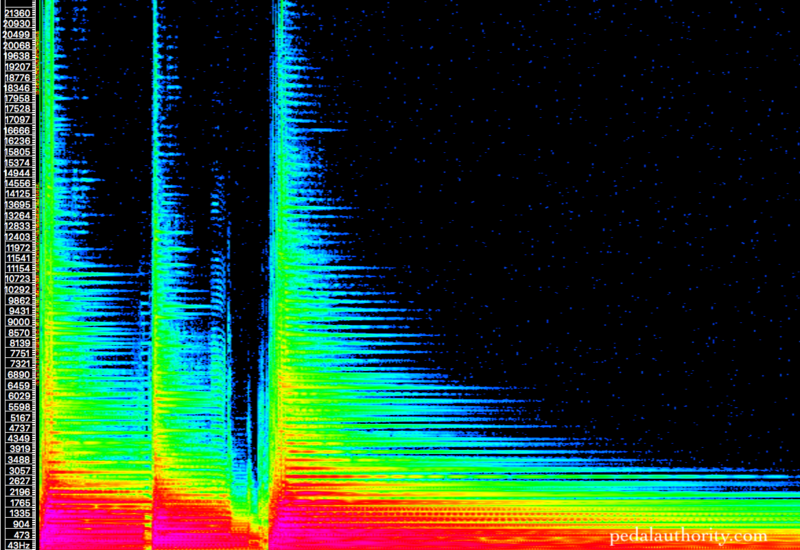 So then the question becomes “what kind of filter is going to give you the sound that you want?” And “what frequencies, when boosted, will have a desirable impact on your sound?” First it is useful to take a look at what instrument you are playing, and what kind of rig are you playing through. Although if you are playing a guitar it is likely that despite any other equipment you may be using, some extra presence in the upper mids and even in the highs will be beneficial (it is true that too much treble can mean that you are competing with your drummer’s cymbals, so keep your ears open for interference…or if you are in a studio situation the engineer will likely adjust your EQ accordingly so that you don’t compete too much with the overheads.) Some rigs respond well to mid boost, as was the case with SRV’s setup. Some rigs have a ridiculous amount of treble, like the classic EVH setup, complete with that enormous reverb unit and plexi head on the verge of explosion, and can use a little bit of smoothing out. While other players may have rigs that for one reason or another sound too boxy, especially at higher output levels. And so we come to the case of Brian May. The Vox AC30 is notorious for taking pedals very poorly. Some of this is due to the open-back design, some of it has to do with the idiosyncratic circuit, some of it has to do with the sensitive paper cones in the Celestion alnico blue speakers, and some of it has to do with the fact that the AC30 sound is already much more focused than that of a typical amp. Now, the AC30 does what it is made to do in a way that any other amp would be hard pressed to do. 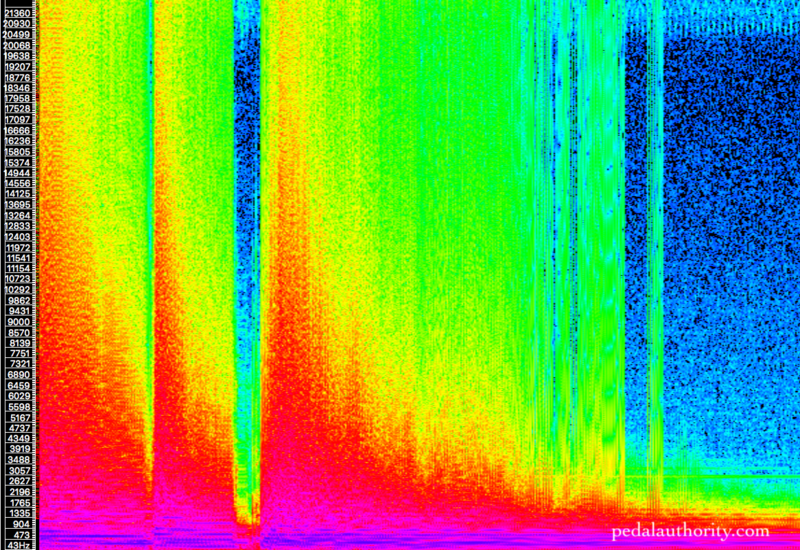 It is such a unique flavor of jangly and chimey that one could argue that the AC30 played a monumental role in defining the sound of supergroups like The Beatles, Radiohead, and U2. But what happens when you have developed your sound around the quirks of this British workhorse, and you want to take this traditionally low to medium-gain amp into hi-gain territory? 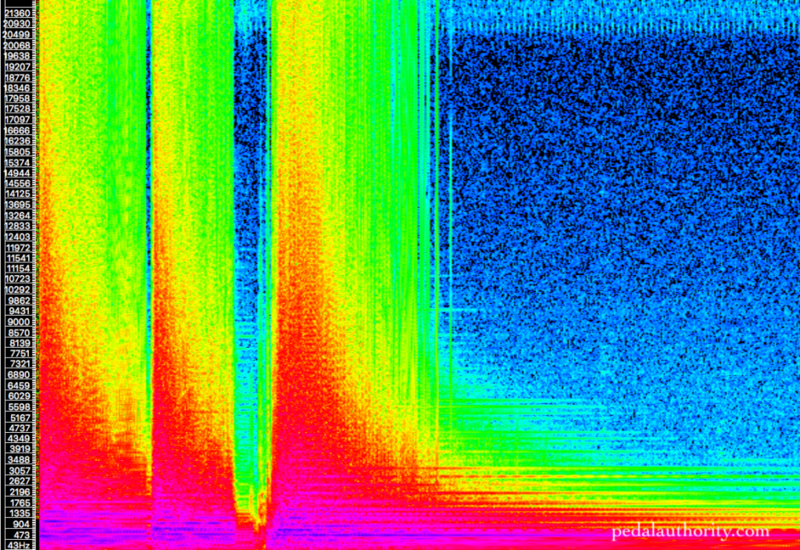 Think about the frequency response of the beast, and experiment. Brian May, devoted to the character of his AC30 amps, and already in possession of a logical and scientific mind, cracked the code in the early days of his career by using a Rangemaster treble booster instead of a fuzz, distortion, or other variety of dirt pedal, to push his amplifiers into overdrive. What’s kind of funny about this equation is that the AC30 is already voiced to be quite trebly, so why does adding even more treble do the trick? Well for one thing, the AC30, like many other combo amps, suffers from the “box syndrome” for lack of a better term, meaning that when compared to something like a traditional head and cab setup, the AC30 will always sound kind of boxy. Paradoxically, this issue can actually magnify at higher output levels, meaning that fixing the issue is not as simple as cranking your volume control. So how do we deal with the boxyness? Pause a minute and think of the frequencies that contribute to that sound…its likely going to be the lows and the lower mids, and in particular any peaks that are occurring in that range. So the first step is to filter out the extra information in that range. You can either do this after the amp, via EQ (but only fully possible in the studio), or by eliminating these frequencies from your guitar signal. Then you can crank your amp, and it will already lack so many of the perpetrating frequencies that your signal will effectively be “cleaned” up. This is not unlike using a TS808 or clean boost in front of a high gain amp to “tighten” up the sound by drastically removing the low frequencies. Here too is a paradoxical situation where pushing fewer low frequencies into the front of the amp actually tightens up the low end and makes it sound more defined and substantial. In the world of acoustics, sometimes less really is more. And so by applying an extreme level of timbral focus to his signal, Brian May was able to minimize the boxiness of his amps. Okay, so we’ve taken care of the lows and mids, but what about getting that legendary sustain? Let us use another comparison to illustrate this part. Remember how Hendrix and Clapton both used to turn all the knobs on their plexis to 10, and still put a fuzz pedal between their guitar and the amp? Recall too how this resulted in that muff-y, cake batter-y effect in the lower frequencies, but once they played anything on the treble strings from the 12th fret up, the guitar began to sing? This place of timbral nirvana is one of the most beautiful things about those early hi-gain sounds, and a lot of it had to do with the extreme levels of clipping in the treble range, along with tons of natural speaker compression. 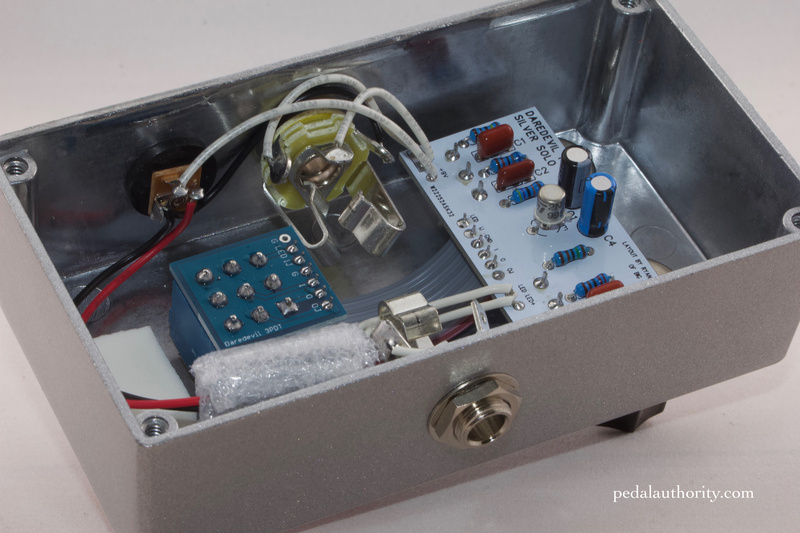 Those old Fuzzface circuits work so well with plexi-style amps that folks like Eric Johnson and Joe Bonamassa still use them, despite having every major pedal manufacturer in the world waiting to cater to their every request. Essentially what Brian May had to do was find a circuit that acts on an AC30 the same way that a Fuzzface acts on a plexi. It turns out that when one takes an amp that is already extremely trebly and jams even more treble into the front of it, the result is tons of clipping and natural speaker compression, and so Dr. May developed a method whereby he could retain all of the jangly and crisp character of his AC30s, yet still drive them into hi-gain territory. He talks a bit about this process and demonstrates some sounds in the following video. 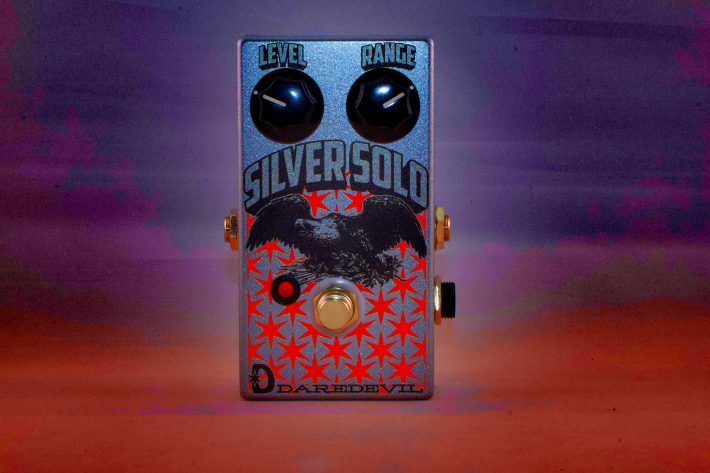 The Daredevil Silver Solo was developed to replicate the sound and function of the classic Rangemaster boost pedal, and it certainly delivers. You don’t even have to be looking to overdrive your amp. We tested it out as a clean boost to help push our slightly neutral, slightly boxy sounding Blues Jr. into clucky chicken-pickin’ territory, with the goal of achieving that sound without overdriving the preamp. Judicious use of the level knob allowed us to get that clean spank without any extra grit. For the Brian May approach, we ran the Daredevil Silver Solo into a handful of dirt pedals including the Nobels ODR-1, Tubescreamer, Archer, Revv G3, and SD-1, (each dialed in to some of their dirtier settings) to see if the extra bit of treble would saturate the signal enough to provide enough signal boost and sustain suitable for some searing leads, and in each case we walked away feeling pretty happy. We also tried the Daredevil Silver Solo in front of a gain-soaked Peavey 6505+ and were able to achieve similarly pleasing results. Moderate amount of signal loss here, particularly in the upper frequencies, and some boost happening in the lows due to the buffer. Basically what one can expect from a decently well made pedal without true bypass. However, there appears to be no drastic gouging of frequencies, nor any harsh artifacts added. Basically a broad boost across the spectrum with relatively little imposed EQ. A generous amount of boost is still present here, while the EQ profile is more focused. This setting represents the halfway point between neutral EQ and fully treble boosted EQ. 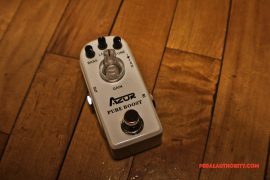 This is the most focused of the pedal’s settings. Notice that the contour represents a combination of the bypassed signal and the minimal EQ signal. The intensity is totally present while the EQ is drastically shaped to place emphasis on the treble frequencies, which consequently results in defined attack points. The bottom line is that the Daredevil Silver Solo has the two controls that seem to be most useful for achieving great lead-worthy levels of saturation. Turn the range to hit your amp at just the right frequencies, and then adjust the level to achieve the right amount of saturation and you are good to go. It may be a simple circuit, but it works, and isn’t that all that matters? Check it out.